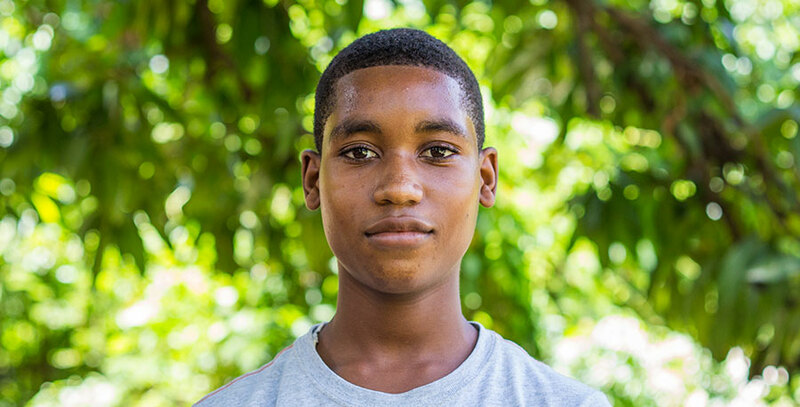 Eugens loves making new friends and likes to live here at the orphanage because he gets to be surrounded with friends. And he loves the summers when missionaries come to visit because he meets so many new people. But his best friends are Franklin and Woody. He is very good at learning languages and even teaches himself English. He has become so good a English that we get to use him as a translator for the missionaries. He also helps to teach the other kids English so they can talk to the missionaries too. He wants to stay here in Fond Blanc when he grows older and he would love to become an engineer. He has a big family that lives here in Fond Blanc, a mom, three sisters and five brothers! He gets to see his mother every couple of weeks. He has lived here since 2011.